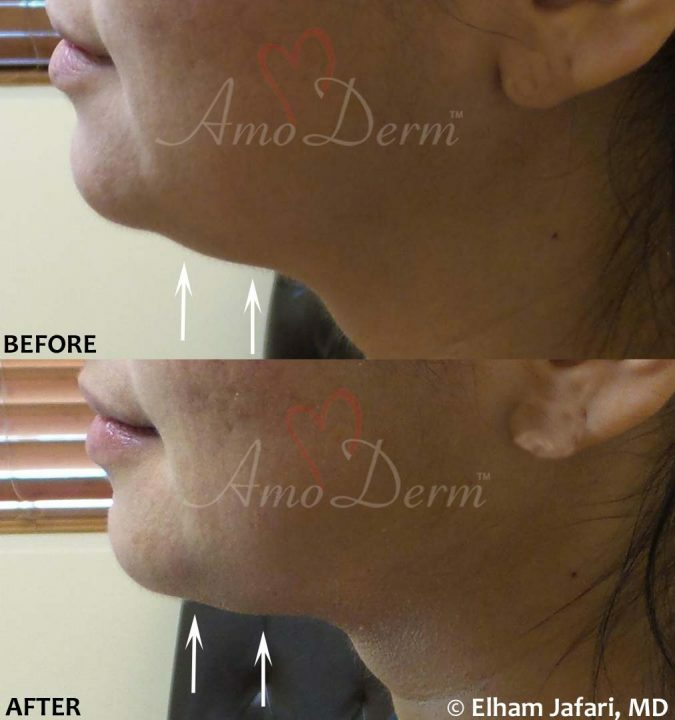 Kybella injection is a newly FDA-approved treatment for reduction of excessive fat in submental area – under the chin and upper neck – and it can greatly help those suffering from having a “double chin.” Amoderm is among the first clinics in Orange County to offer Kybella injections. Double chin or submental fullness is a common problem affecting many men and women. Having a double chin is often a major contributor to a heavier, older and aged look and it can disrupt the natural balance of youthful face. Many causes such as aging, weight gain and genetic factors can contribute to developing a double chin. 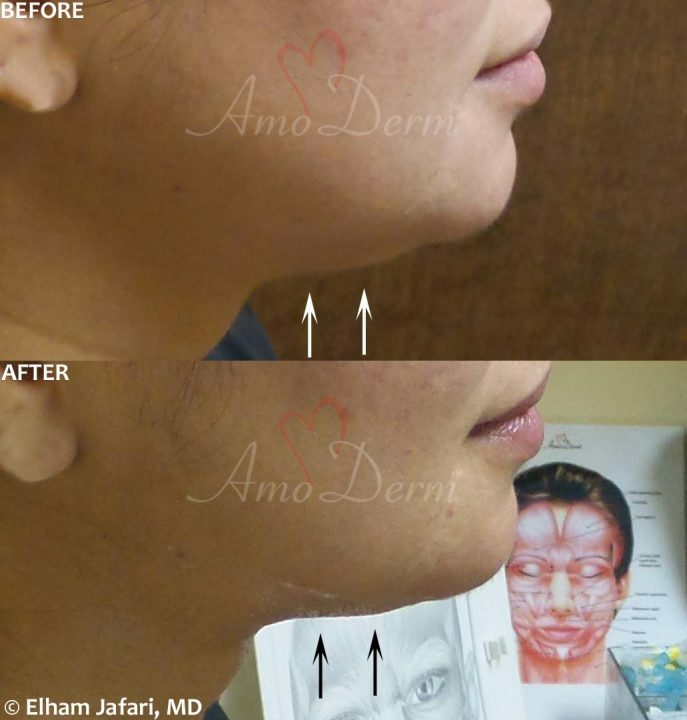 Kybella (deoxycholic acid) is a new injection that is expected to revolutionize body contouring and fat reduction treatments. 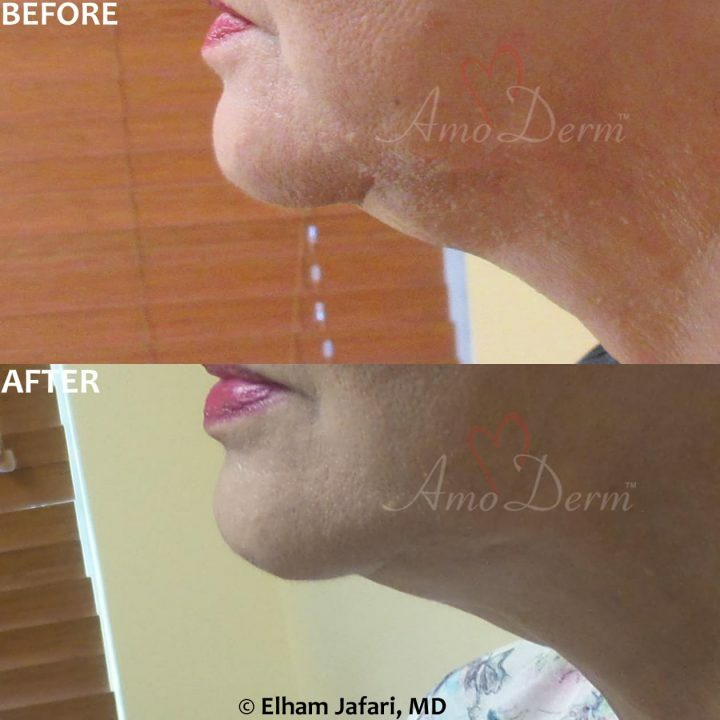 Painful and complicated surgeries might no longer be needed to remove the excessive fat in areas around the neck and chin, and possibly in other parts of the body. Kybella is based on a naturally-occurring molecule that is normally present in our digestive system. Once injected by your Amoderm physician in the treatment area, Kybella works by dissolving (melting away) the fat droplets and fat cells. The released fat is solubilized and carried away by the lymphatic system. Careful and skillful injection of Kybella can help with focusing its effect on the excessive fat tissues that are targeted for removal, leaving other cells and tissues intact. In selected patients, Kybella may be preferred to liposuction to get rid of double chin and excessive fat in the neck and under the chin area. Your Amoderm doctor will work with you to come up with an individualized Kybella treatment plan to address your specific needs. 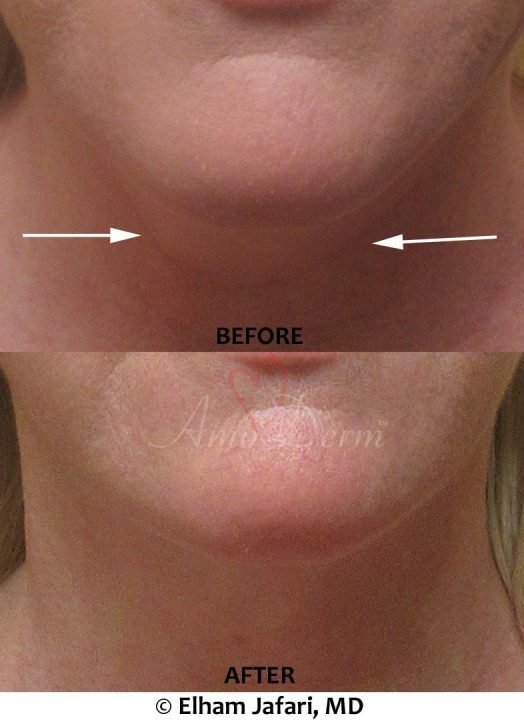 In most patients, visible results are noticeable in 2-4 treatments. In clinical studies, Kybella injection has been found to be effective in reducing the fat tissues in the neck and chin area. The observed treatment results have been long-lasting and the destroyed fat tissues are not expected to come back. Once the desired treatment results are achieved and as long as the patient does not gain extra weight, the results are expected to last and further treatment is typically not needed. 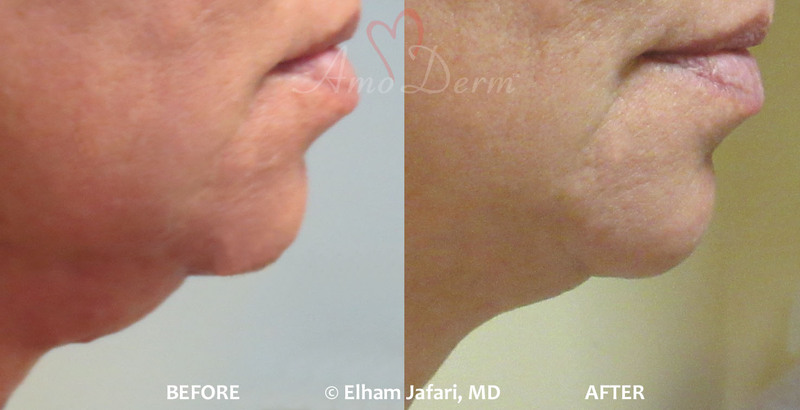 The treatment often has no or limited downtime and most common reactions to Kybella injection include swelling, pain, tenderness, and bruising in the treatment area. These are usually self-limiting and can be controlled with over-the-counter painkillers. More importantly, the pain, swelling and downtime (if any) is nothing compared to what is commonly seen following liposuction. This makes Kybella a very attractive treatment option of double chin and other similar issues related to extra fat tissues in the body. Say goodbye to double chin and other stubborn fat in your body! 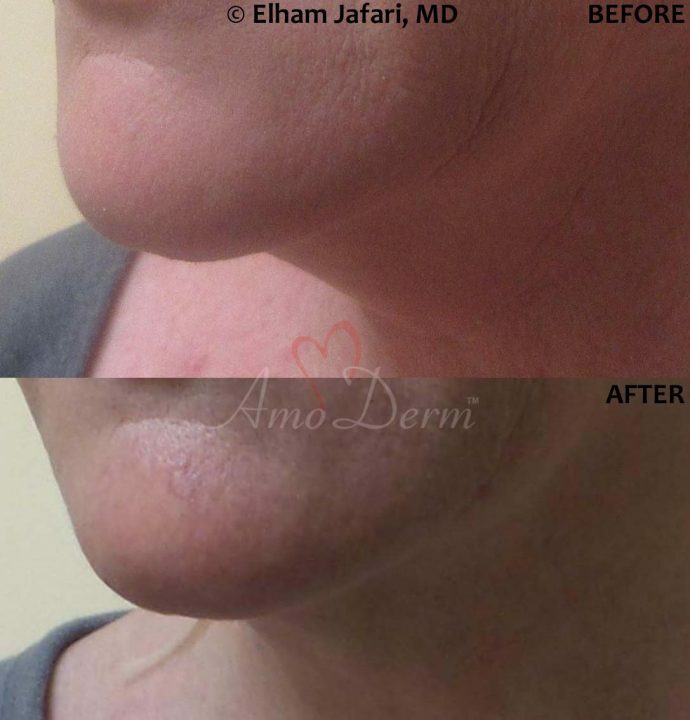 Contact Amoderm today to learn more about Kybella and see if you are a candidate for Kybella injection. 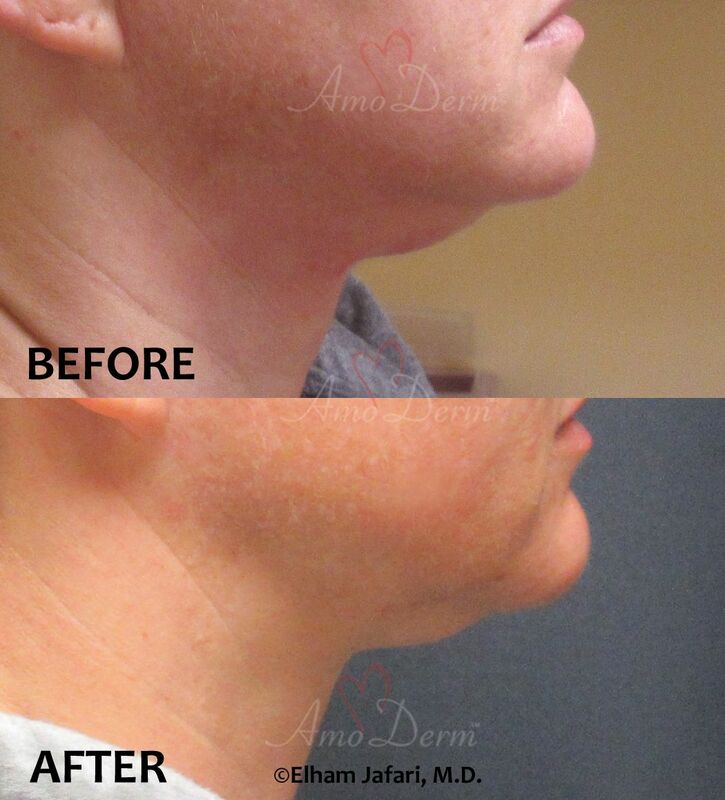 Amoderm is among the few clinics in Orange County to provide Kybella injections.